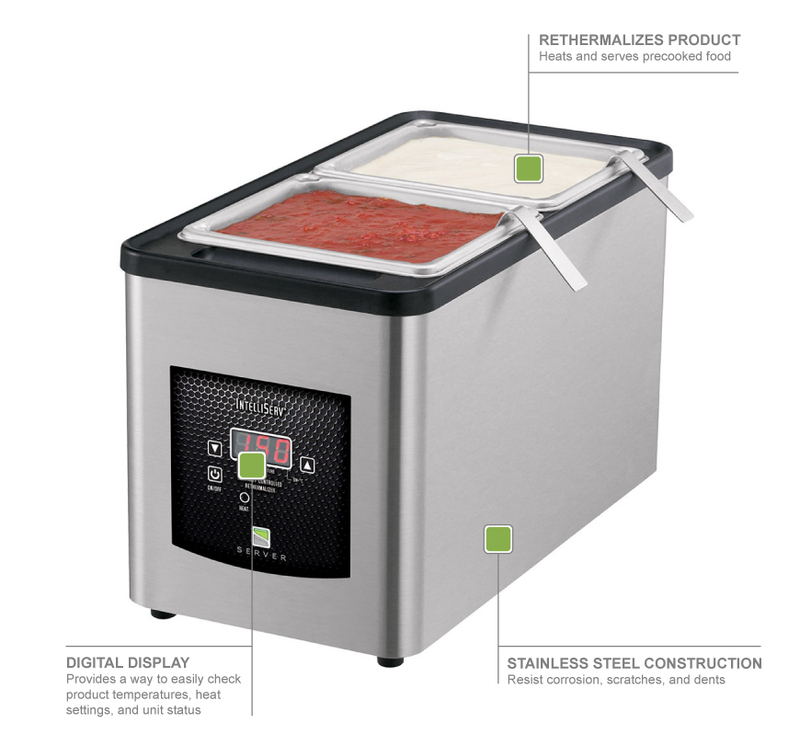 The Server 86909 Intelliserv™ food warmer warms sauces, soups, and toppings without taking up an abundance of valuable counter space. 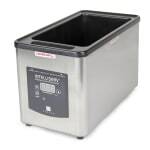 This food warmer also features simple, digital controls to ensure proper temperatures. You can warm up to 6 quarts in 8 inches of space; the modular design holds one 1⁄3 size pan, two 1⁄6 size pans, or three 1⁄9 sizes pans that are up to 6 inches deep. The digital display provides instant feedback about heat settings and status. The Server 86909 Intelliserv food warmer can quickly heat food to a safe serving temperature before bacteria has a chance to grow. Warm up to 6 qts.